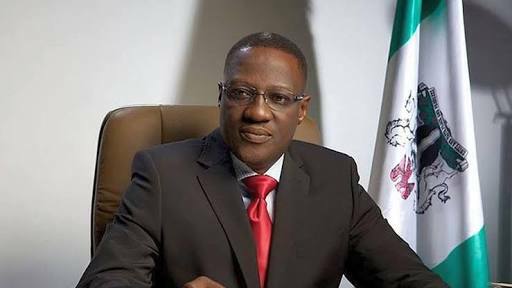 The Kwara State Governor, Alhaji Abdulfatah Ahmed has approved the appointments of new Special Advisers, Senior Special Assistants and Special Assistants. The Secretary to the State Government (SSG), Alhaji Isiaka Gold, who made this known in a statement on Tuesday, said the appointments were part of Governor Ahmed’s efforts to strengthen governance and promote inclusiveness. Alhaji Gold listed the newly appointed Special Advisers to include Alhaji Olokoba Toyin Sulyman, Hon. Emmanuel Bello, Mr Rasaq Akanbi Jimoh, Alhaji Aliyu Mohammed Salihu, Prince Tunji Moronfoye, Alhaji Ibrahim Dare Abiodun, Chief Moses Olabode Adekanye and Mr. Amusa Bello. The new Senior Special Assistants, according to the SSG are Mr Salihu Mohammed Yahaya, Mrs Monsurat Oyidamola Omotosho and Hajia Sulu-Gambari Aishat. He also listed the new Special Assistants to include Halidu Danbaba, Tsado Manman, Mr Ige Muideen Olayiwola, Mr Sunday Ogunniyi, Mr Abdulkadir Oba Aluko, Mr Lawal Muhammed Olalekan, Mr Manzuma Ibrahim Kawu and Mr Issa Abdulrahman. Alhaji Gold congratulated the new appointees and charged them to see their appointments as a call to service. The SSG also announced that the newly appointed commissioners will be sworn-in by Governor Ahmed on Wednesday, 23 May, at the Government House, Ilorin by 10:30 am.